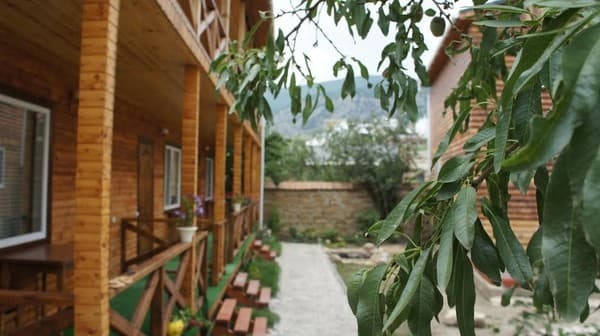 Guest House "Guest House in Sudak" is located in a quiet part of Sudak, 300 meters from the Genoese fortress. 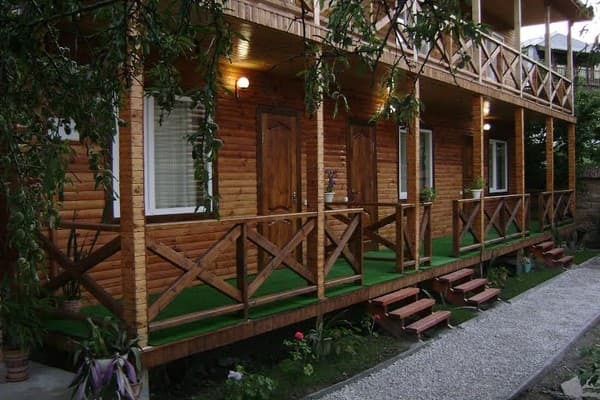 The hotel has 6 cozy rooms made of environmentally friendly materials. Each room of the hotel is equipped with comfortable furniture, TV, air conditioning, refrigerator, free Wi-Fi, shower and toilet. 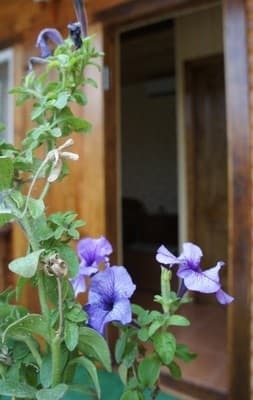 All guest rooms at Guest House in Sudak are classically decorated and are ideal for families with children. 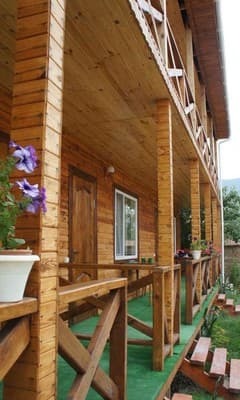 On the territory of the guest house there is a kitchen for self-cooking and parking spaces for the car. There are many shops, cafes and bars within a 5-minute walk. A shuttle service is available upon request. Distance to the sea - 700 m, pebble beach. Distance from Alushta - 34 km. Description of the room: Spacious cozy room is equipped with a double bed and a sofa bed. 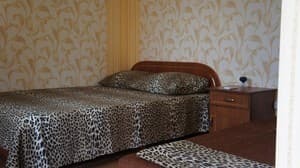 The room is suitable for families with children. The service is not provided. On the territory of the guest house there is a kitchen for self-cooking. 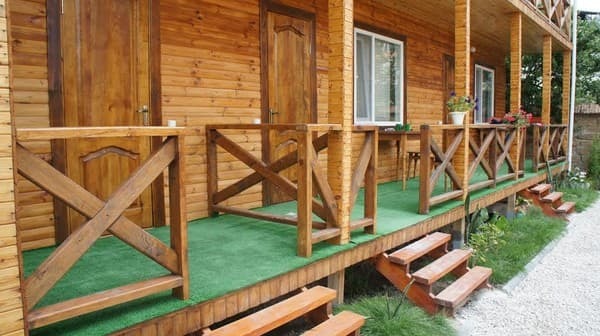 Guest House "Guest House in Sudak" is located in a quiet part of Sudak, 300 meters from the Genoese fortress. Distance from Alushta - 34 km. Shuttle bus: Sudak - New World, Country - Cozy.